Top seed and eight-time champion Roger Federer advanced to the Gerry Weber Open quarter-finals for the 14th successive time on Thursday by beating Malek Jaziri 6-3, 7-5 in 69 minutes. “I thought he was reading my serve throughout the first set. So, I started to serve a little bit different in the second set. 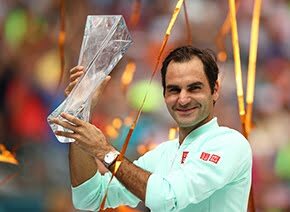 I was having more success that way,” Federer said. “I was happy to come through a tough match because I thought he’s tough to play against. I struggled to read his technique, the way he gets into the ball I can’t really tell where he goes and I remember that from the last time I played him in Dubai, I remembered there was something but not until I got on the court. So, it was tough. I think he’s a good player. 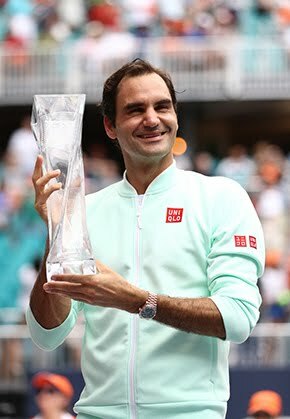 Federer broke Jaziri for a 5-3 lead in the 29-minute first set and then recovered from a 0-3 deficit in the second set for his 53rd match win at the ATP World Tour 500 tournament. 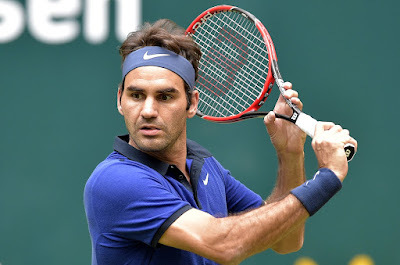 Federer goes on to face fifth seed David Goffin, who booked his spot in the last eight when qualifier Sergiy Stakhovsky retired due to a back injury early in the deciding set. Goffin had saved 12 of 14 break points to lead 4-6, 7-5, 2-0 after one hour and 47 minutes of play. The Swiss superstar leads Goffin 4-0 in their ATP Head to Head, including a 6-2, 6-1, 6-4 win in this year's Australian Open fourth round.